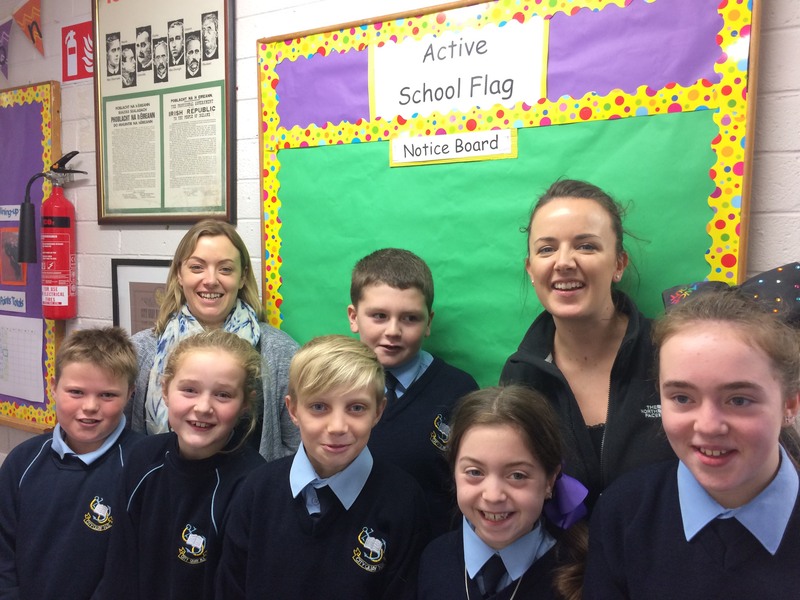 Our school has contacted various communities and organisations in trying to achieve our Active Flag. 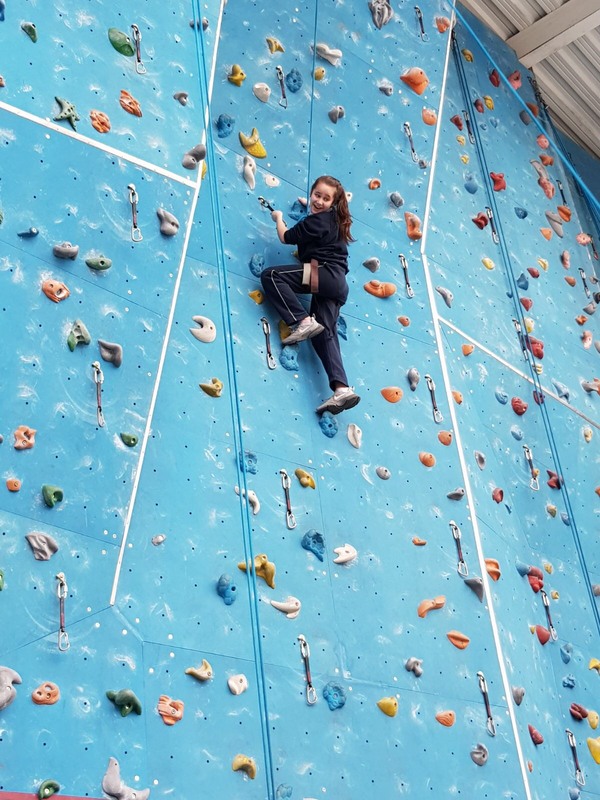 Some of the Partnerships that we emailed and made contact with at the beginning of the year helped us get involved with lots of different sports. 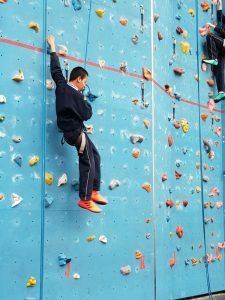 Every class in the school goes to Gloucester Street Gym for one session of PE a week for 30 minutes. Mark and Amanda are fantastic PE teachers and we love using all of their equipment in the Hall. 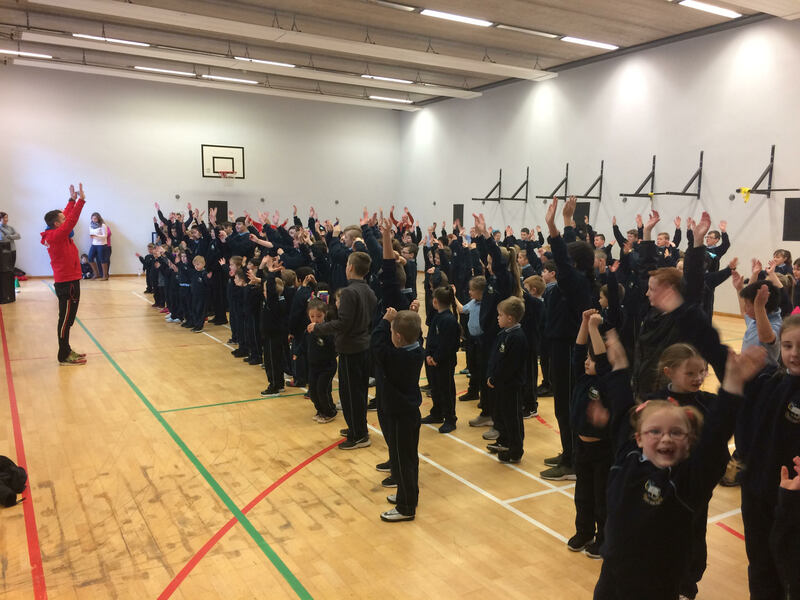 During our 6-week Operation Transformation, Mark helped us keep fit with whole school workout classes every Thursday! 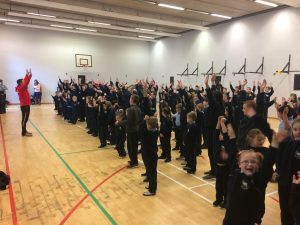 Students from 4th class, 5th class and 6th class play Basketball for 45 minutes with Hugh in Trinity on Tuesdays ( scheduled throughout the year ). In April, 6th Class got to go Rock Climbing in Trinity! Trinity College have agreed to put on some more Rock Climbing Classes during Active Week too! 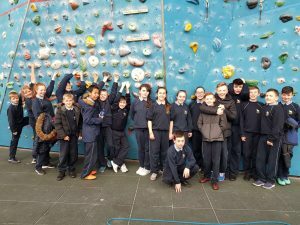 2nd and 6th class have gone swimming and have had great fun during swimming lessons in our local pool. 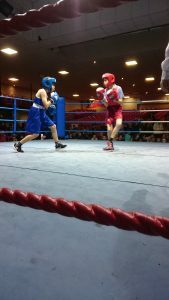 During Term 1, 5th and 6th class participated in a Boxing Programme with Michael Carruth for 6 weeks. 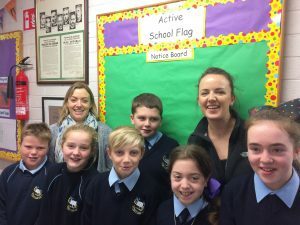 A number of students were selected to participate in the Gold Programme. 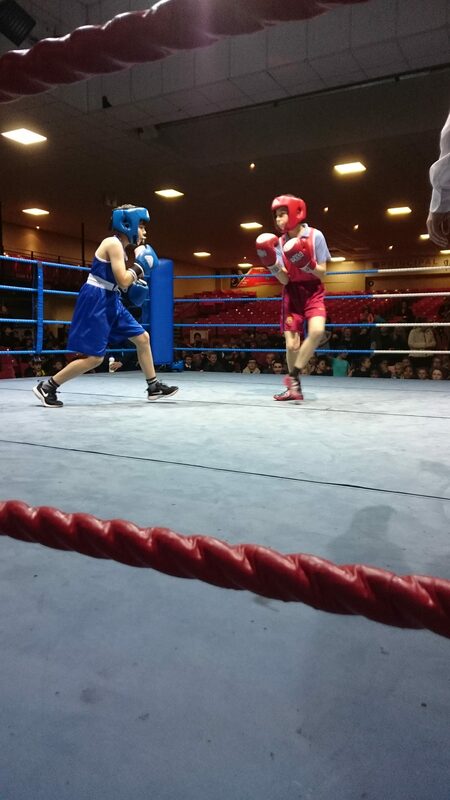 Students competed against other schools at the end of the Programme in the National Boxing Stadium. Students from Trinity Dental School came in and spoke to our classes about keeping our teeth healthy and clean. Classes were told how to keep healthy by eating lots of healthy food and plenty of water along with lots of exercise.